Border Blinds Shutters and Awnings can supply and install a complete range of quality Blinds Awnings and Shutters. Border Blinds prides its self on providing only superior products; we are committed to giving our clients excellent service and meeting our delivery dates. One of our highly experienced sales consultants will be happy to visit you at your home or office with a large selection of samples and assist you with your design needs and provide you with a free measure and quote. We offer a supply and fitted service using only trained professionals to install your blinds, awnings or shutters. Border Blinds has recently had a name change from Bristol Blinds. Formerly Murwillumbah Glass & Windscreens, Datco Aluminium Pty Ltd was started in 1979 and now has offices in Murwillumbah, Carins and Shanghai, China. The team at Datco Aluminium has a wealth of experience in building and renovations, and we pride ourselves on keeping up to date with the products and services offered in the ever changing industry. We work with our clients to ensure they have access to all the information and options to make the best choice for their needs. With our design consultation service, we can offer our clients more than simply selling them a product; we turn their ideas into a reality. Specialising in ‘out of the box’ designs, we can source or manufacture products specific to our customer’s needs, giving them a high quality outcome that will stand the test of time and give true value for money. 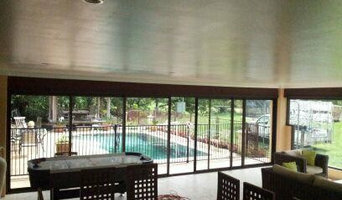 We are Bifold window and Door specialists. We measure, manufacture and install. We are your one stop shop for your new bifold door. Tweed Tinting has been tinting homes, commercial buildings, vehicles, boats and heavy machinery in the northern rivers/gold coast for the past 25 years. We aim to provide the best protection and privacy from our harsh sunlight. Steve Morrow has been tinting for the past 36 years in Brisbane and the Tweed/Gold Coast. Permier Online Sales sell caravan accessories like windows, doors, sliding, maching range of sliding and rv accessories throughout Australia. Contact us now. Window specialists can recommend the most suitable type of window for your home, whether louvre, leadlight or sash, and will advise on the best positioning for style, function and energy efficiency. They can also survey existing windows for rot, improper sealing, worn hinges, and foggy double-pane glass, and will tell you whether or not a window replacement or upgrade will be necessary. The professionals in this category are also knowledgeable in sliding doors, bifold doors, French doors and other paned portals. 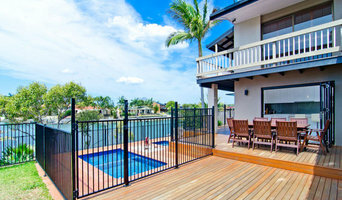 Your window specialist may also work closely with Tweed Heads West, New South Wales builders and architects. Here are some related professionals and vendors to complement the work of windows: Shutters, Blinds & Curtains, Building Project Managers, Home Builders, Specialty Contractors, Cladding & Exteriors. Find a window professional on Houzz. 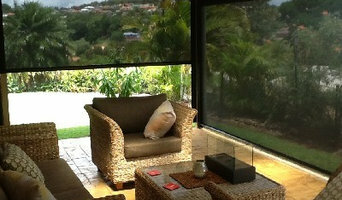 Narrow your search in the Professionals section of the website to Tweed Heads West, New South Wales Windows. You can also look through Photos to find examples of windows you like, then contact the professional who is responsible for them.